Landscaping is a great way to increase the value of your property and save energy, but trees and shrubs planted too close to power lines and other electrical equipment can create both safety and reliability concerns. Many power outages are caused by trees and limbs falling on power lines during bad weather, interrupting the continuous electrical service our members have come to expect. 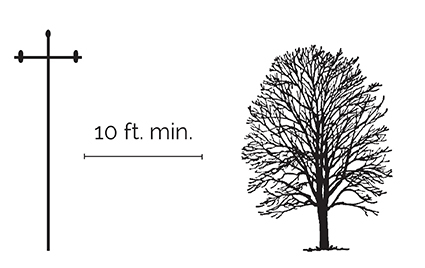 All trees within Dakota Electric’s right-of-way are subject to pruning or removal. 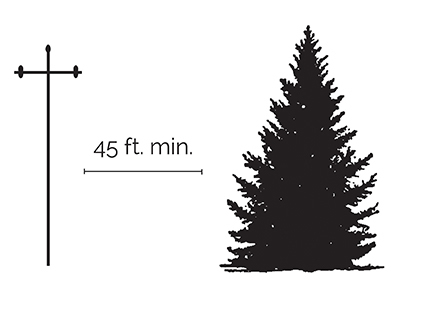 Trees exceeding a mature height of 15 feet and within 10 feet of a power line are also subject to removal. 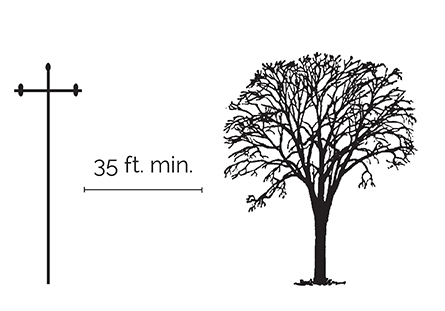 Crews do not prune oak and elm trees during infectious months (April through July) except in emergency situations. Crews do not remove tree stumps or diseased wood, but will remove branches hanging over power lines. We will notify members when pruning or removing trees. 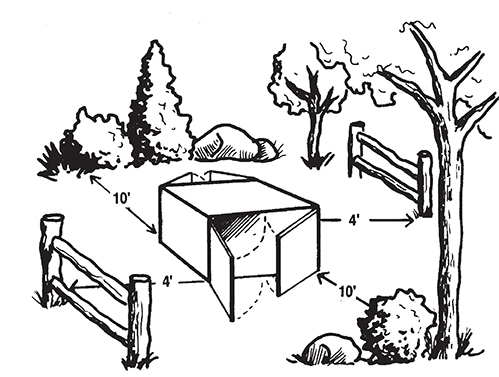 You can help maintain power line access and clearance by planning ahead before planting trees and shrubs. Follow the guidelines in our Plan Before You Plant brochure to help ensure safe and reliable service for all Dakota Electric members. You can also download Great River Energy’s Planting Around Power Lines brochure for more information about planting around different types of power lines. Call Dakota Electric to trim or remove trees near power lines. You can help maintain power line access and clearance by planning ahead before planting trees and shrubs. Follow the guidelines in our Plan Before You Plant brochure to help ensure safe and reliable service for all Dakota Electric members. Contact Dakota Electric to trim or remove trees near power lines.